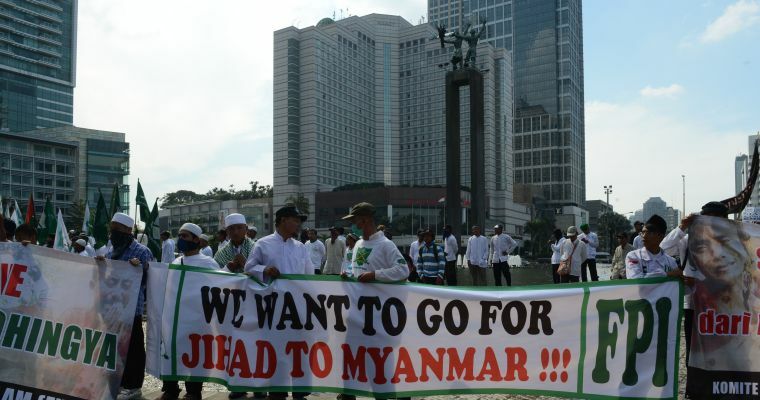 Indonesian Muslims hold banners as they stage a rally against Myanmar government in Jakarta on May 3, 2013 close to the Myanmar embassy. 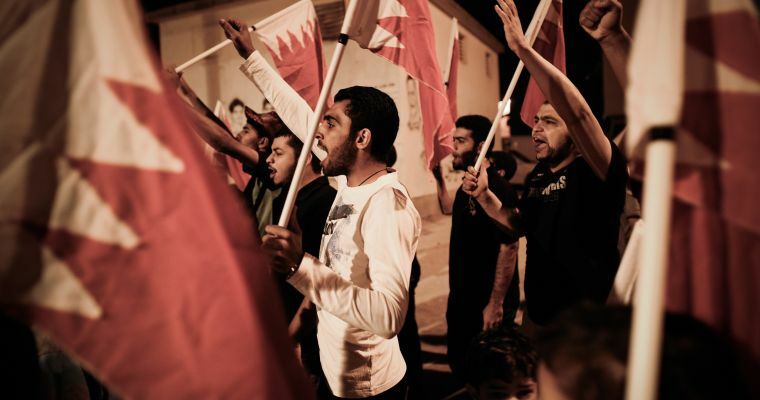 Bahraini protesters shout slogans during an anti-regime demonstration in the village of Diraz, west of Manama, late on April 27, 2013. 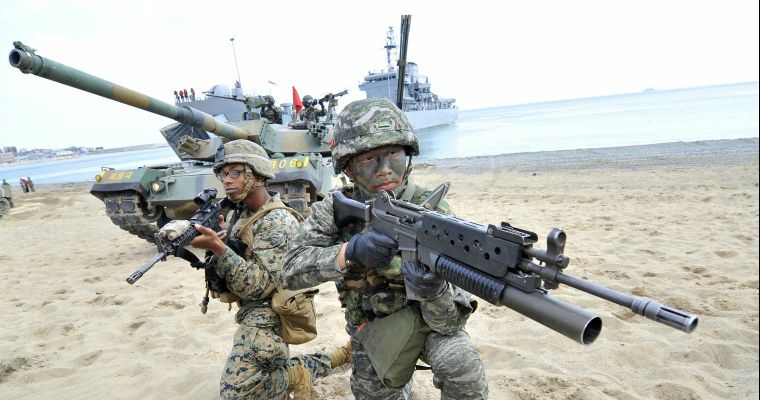 South Korean, US Marines take a position on the seashore during a joint landing operation by US and South Korean Marines in Pohang on April 26, 2013. 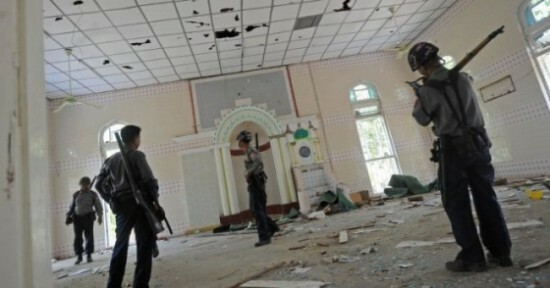 Myanmar police inspect a damages mosque at a village near Oakkan town, some 100 kilometers north of Yangon on May 1, 2013.